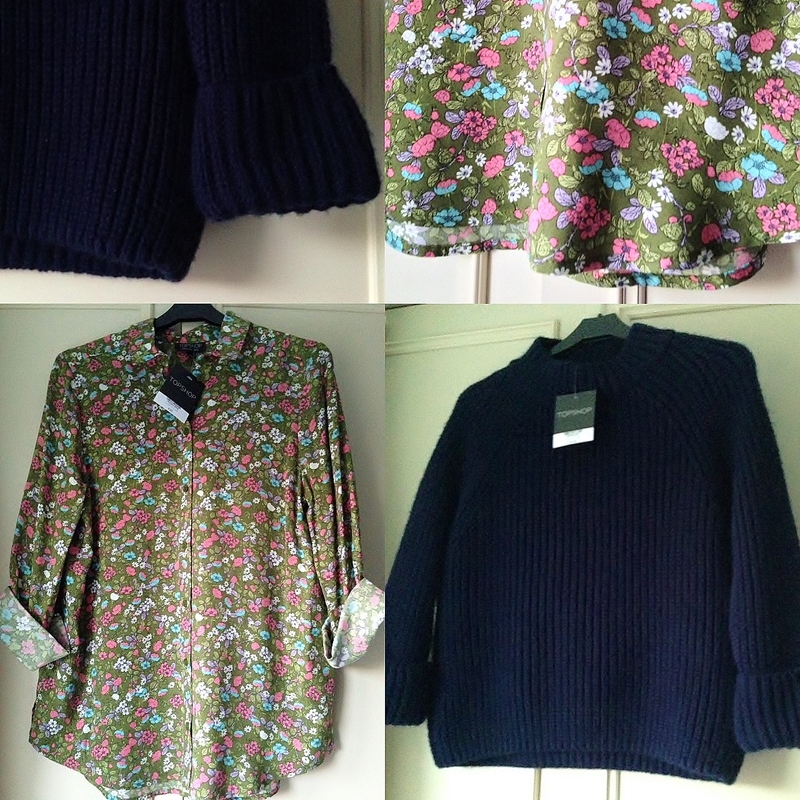 I love florals and I love chunky knits. So this recent Topshop haul was a huge success. The big, chunky deep blue knit pictured above is a high neck, three-quarter length sleeve, cropped jumper… and it has a really retro feel about it. This jumper is particularly flattering when teamed with my favourite high-rise floral flares and best of all, was a really affordable find at just £20, thanks to the sale rail. Yes, I love a good sale! My new floral blouse might not have been a sale-find, but the gorgeous look and feel to this fabric sold me from the moment I set eyes upon it. Perfect when dressed up for nights out or teamed with jeans for day-to-day errands, this shirt is extremely versatile and only set me aside £30. For more fashion and beauty advice, follow my blog today.